FORMER shirt factory workers are being invited to share their memories at the latest in a series of free coffee mornings at Derry's Tower Museum this Friday. The shirt factory era had a pivotal impact in shaping the economic and social fabric of Derry, Donegal and the North West over the last two centuries. 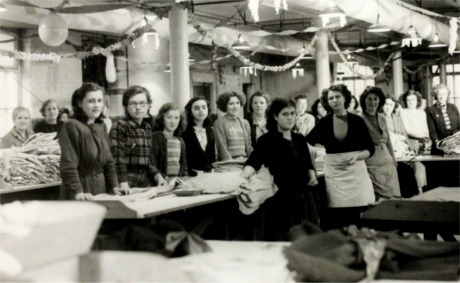 An image of a Derry shirt factory of old and its workers. Derry's acting education officer Ronan McConnell urged people including former shirt factory workers and wider public to avail of the opportunity to learn more about the period. “Derry City and Strabane District Council Museums Service holds a vast collection of objects, documents and memorabilia which help to tell the story of the generations of women, men and children who worked in the factories. “We would especially like to extend an invitation to former factory workers to share their stories and experiences or just sit back with a cup of tea and enjoy the bars," he said. The Tower Museum’s coffee mornings are designed to encourage "healthy reminiscence and discussion using the museum collections as a base for conversation". The event takes place on November 25, 2016 from 10am to 11.30am and admission is free.